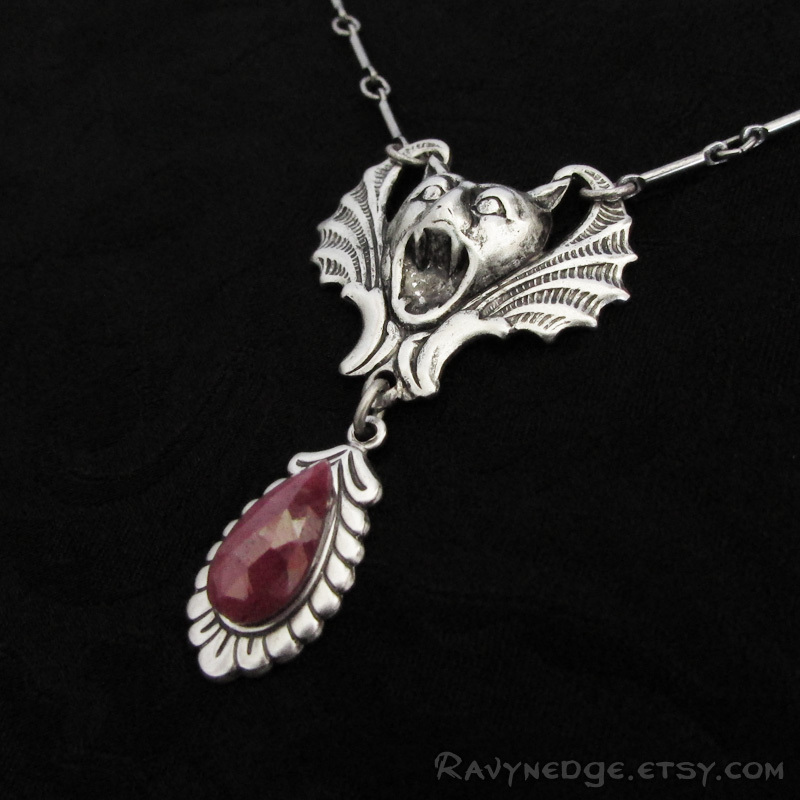 Nocturnal Passion Circlet - Natural Ruby and Silver Gargoyle Headpiece by RavynEdge. Feel like a gothic princess or queen of the vampires when you wear this stunning hair accessory! 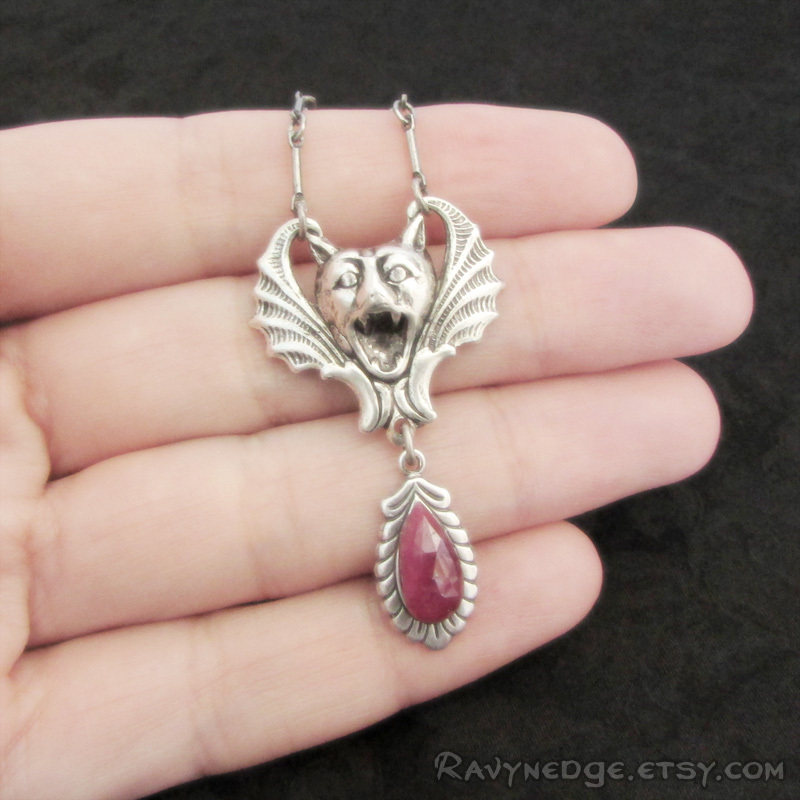 Hanging below a fabulous winged gargoyle is a pear dangle accented with a genuine 1.98ct faceted ruby. Finished with incredible link and bar chain. 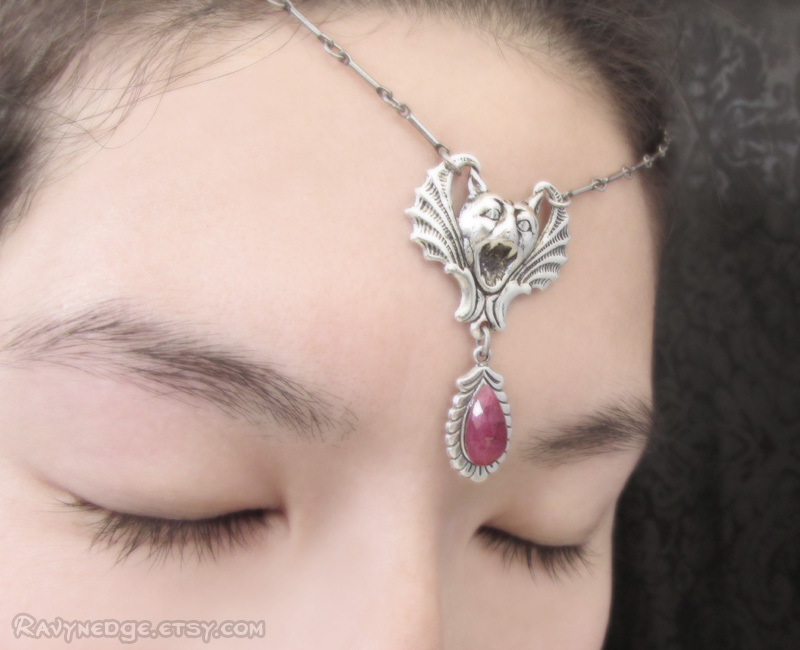 This lightweight circlet can easily be secured with hairpins if needed. Can also be worn as a necklace! All metal is sterling silver plated brass, nickel-free and lead-free. 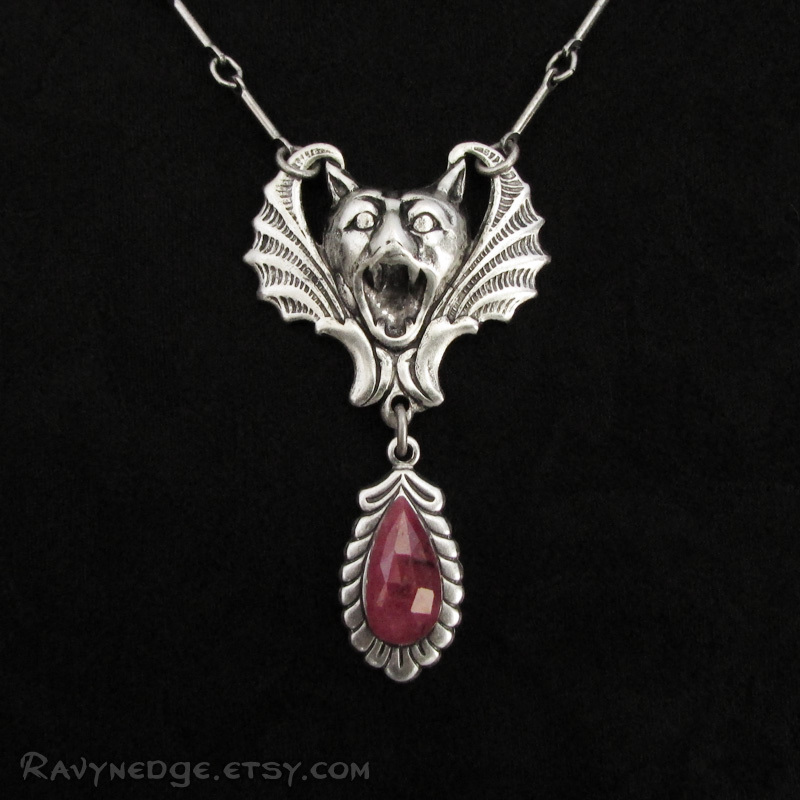 The gargoyle and dangle measures approximately 1.65 inches (4.2cm) tall and 1 inch (2.5cm) wide. The size is adjustable from 20 to 24 inches (51 to 61cm) and closes in the back with a lobster clasp. 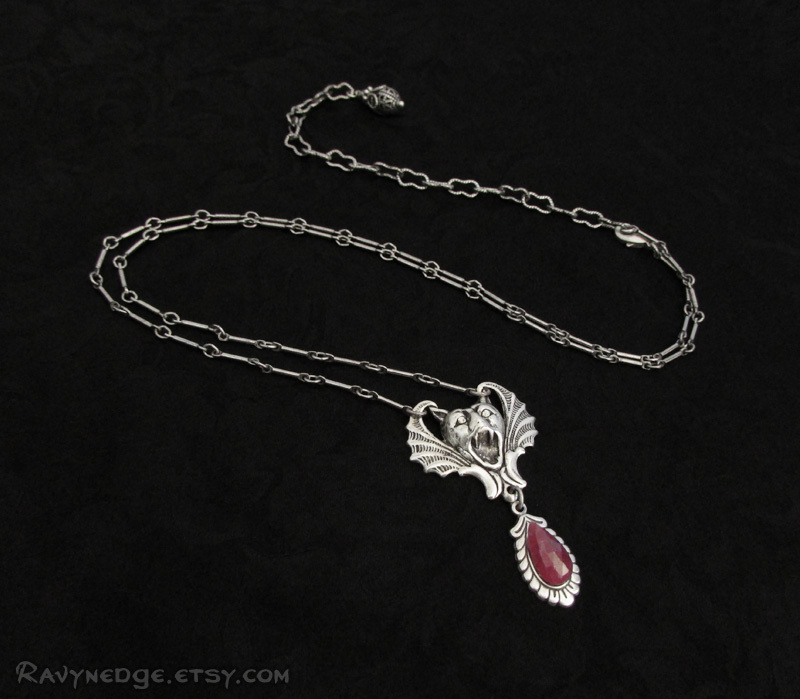 Please Note: The ruby used in this circlet/necklace is a natural stone. There may be inclusions or imperfections within the stone, but that is what makes each one-of-a-kind unique.